The North Carolina Masonry Contractor’s Association (NCMCA) has appointed former high school masonry instructor Ryan Shaver to fill the newly created position of Workforce Development and Training Coordinator (WDTC). “Creating this position is one of the most significant initiatives ever attempted by the association,” NCMCA president Bob Gates said in a statement. The new position fulfills a need observed by various Carolinas masonry promotional groups for almost 20 years, the NCMCA statement says. 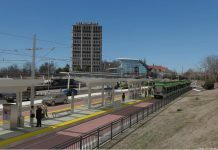 Creating the new position is somewhat of a financial “leap of faith” for the organization, considering that the expense of maintaining the WDTC will almost double the association’s annual operating budget. But the move is not unprecedented. Some 20-years ago, the NCMCA board hired its first executive manager without enough money in the bank to pay the new manager for even six months. That executive director is still here. Back then, NCMCA members stepped up to ensure that a critical step in the association’s evolution would be successful. In the coming months, NCMCA leadership will once again ask members to step up to support this important NCMCA initiative, the association statement said. Much of the credit for North Carolina’s traditionally strong high school masonry instruction programs goes to the old Brick Association of North Carolina, who for many years, even after expanding to both Carolinas, maintained staff dedicated to calling on high school and other masonry training programs. Changes in the industry and in the economy eventually ended those staff positions. In recent years, the industry has continued to support training programs in the state, but not in a coordinated and systematic fashion that ensures adequate connections between industry and the training programs. To finally address the issue, the NCMCA board of directors appointed a committee, chaired by president-elect Kent Huntley to define and fill the WDTC position. Serving on the committee with Huntley are NCMCA past presidents Doug Burton, Calvin Brodie, and Gary Joyner, along with past-president and present NCMCA secretary-treasurer Danks Burton. Also serving are Gates, NCMCA executive vice-president Lynn Nash, Greg Huntley and Cliff McGee. The committee advertised the opening nationally and received numerous résumés. Several outstanding interviews were conducted in mid-February, the NCMCA reported. “Ryan Shaver clearly stood out to the committee as someone extraordinarily qualified to take on the new position,” the association said in its statement. “Ryan was a national masonry champion (1993) as a student of award-winning instructor Doug Drye at Mount Pleasant High School in Cabarrus Count. He was a successful young journeyman mason at McGee Brothers Company and later managed his own masonry company. 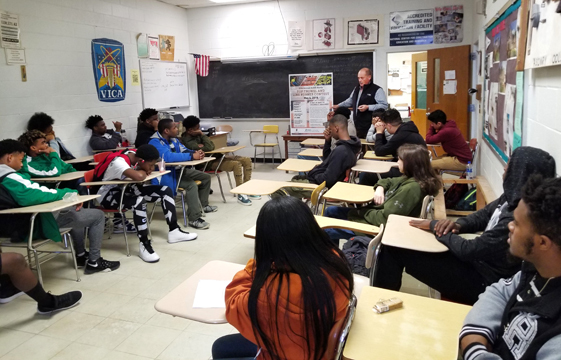 He was drawn to teaching and proved to be very successful in attracting and training young folks for masonry careers at Mount Pleasant High School. During his teaching career, he produced state and national masonry champions. He was Mount Pleasant High School Teacher-of-the-Year and a finalist for Cabarrus County Teacher-of-the-Year in 2014. In his WDTC position, Shaver will serve as an ombudsman for masonry training especially within public education. He will maintain an extensive database of instructors, school administrators, career and technical education directors, and other decision makers. He will maintain regular contact with masonry classes and coordinate the involvement of masonry contractors and other masonry industry in local high school programs. Shaver will use his industry connections to recruit instructors for new programs and his extensive personal experience to help new and struggling instructors become successful masonry teachers. 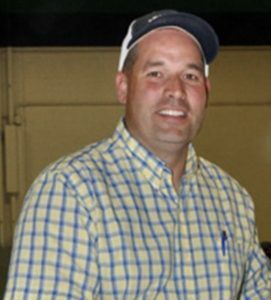 He will also assume leadership responsibility for NCMCA sponsored masonry competitions as well as other competitions for which the masonry industry is involved. He will take a significant role in the NC SkillsUSA Regional and State Masonry competition and the Annual State Fair Masonry Apprentice Contest. He serves as chairman of the SkillsUSA National Conference Annual Masonry Championship competition. 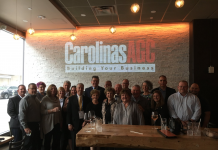 Shaver will become fully involved with NCMCA and the North Carolina masonry industry, attending local chapter meetings, board meetings, the annual convention, and other industry events. As he becomes oriented and settled in his new position, He will be available to provide presentations other groups with an interest in masonry workforce development. Ryan Shaver and wife Brandy have two sons and live in Mount Pleasant.